The design of our naturally beautiful space began in 1990. Through the years we have incorporated indigenous trees and plants as well as natural regional materials such as sand and stone. Our space is surrounded by a beautiful stone and wrought iron fence allowing a beautiful view of downtown and our sister city in Mexico. 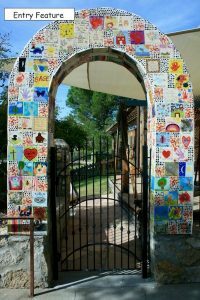 A charming arched entry to the playground is tiled with children’s original artwork and the cement trike path is scattered with hand prints and footprints creating a lovely texture. A spectacular wooden tree sculpture, crafted by a local artist greets the children in the breezeway, while recycled trees serve as sculptures supporting sweet smelling jasmine. The entire space is separated by a low fence designed to keep the littlest people from wandering too far while low enough for older siblings to hop over and visit. 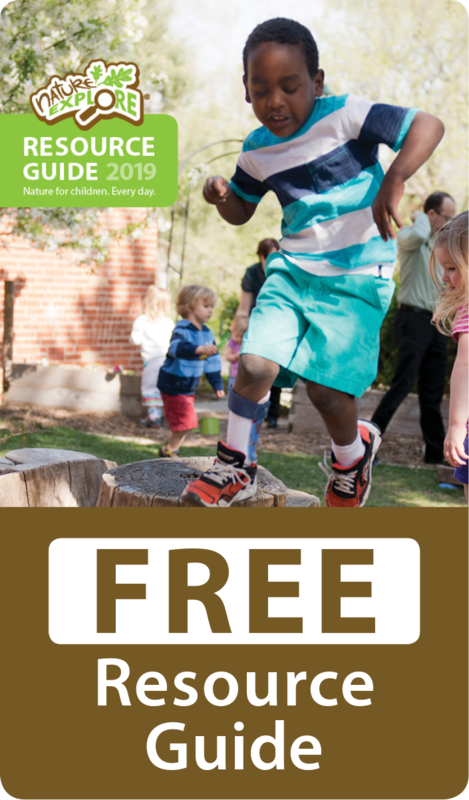 Each space provides ample opportunities for the developmentally appropriate, natural, inspiring activities we value in early childhood development. Our Reggio Emilia inspired program flows beautifully to the outdoors as we have remodeled our indoor spaces to mimic the outdoors by incorporating natural colors and materials. Following the premise that the environment serves as the third teacher, along with the curious child and the engaged teacher, our dynamic and challenging outdoor environment completes our rich learning landscape. Families and alumni play a huge role in the life of our playground as well as overall nature education. Our playground was the first community built playground in the city and we have helped build 12 other playgrounds since. The entire community is involved in the maintenance and growth of this project. Families are introduced to the space by inviting them to work on the playground at our new parent orientation where they get to know each other, the staff and our board of directors. They immediately feel a sense of ownership as they share their energy with the school. 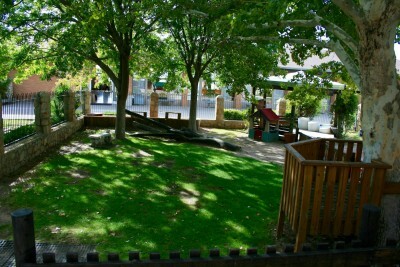 We are blessed to live in a part of the country where the weather is conducive to being outdoors all year long, so our outdoor classroom is a healthy fit for our unique learning landscape.